The Spinova Support Plus permits controlled treatment according to an individually adaptable two-stage plan. 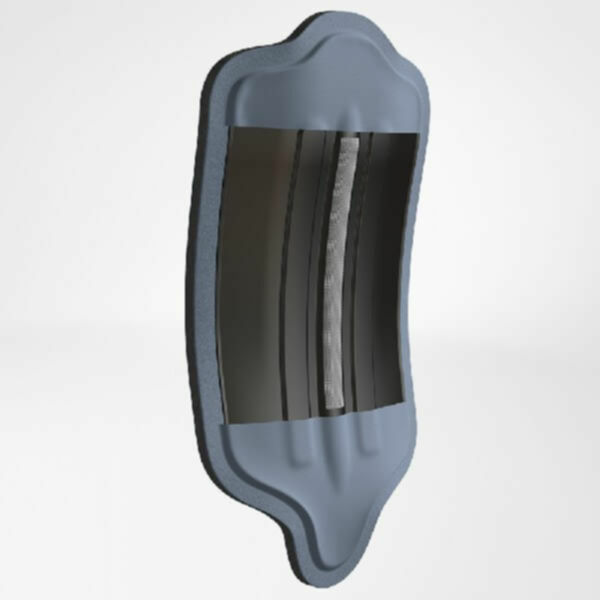 The bridging pad on the Spinova Support Plus stabilizes the surgical outcome immediately after the intervention. Undesirable rotation of the lumbar spine is also restricted. 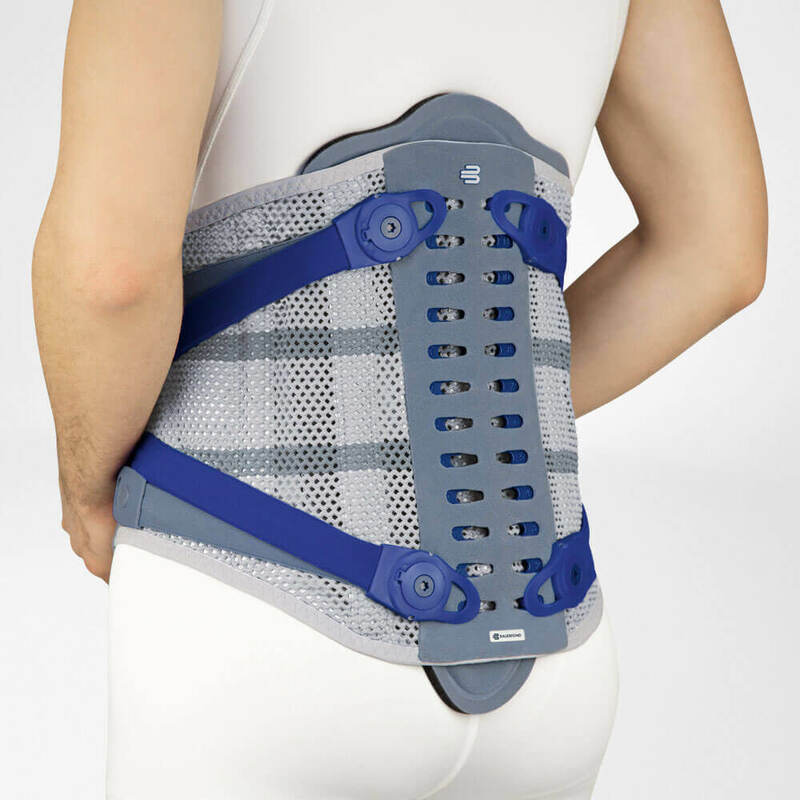 This reduces the movement-restricting stabilization effect and the orthosis acts as a support for the spine. The Spinova Support Plus permits controlled treatment according to an individually adaptable two-stage plan. For effective post-operative or initially conservative correction of the segments, the orthosis is used together with the bridging pad. As rehabilitation progresses and mobility increases, the bridging pad is removed and the aluminum stays are taken out of the Spinova back setting device. The corset stays which remain in the orthosis provide an external supportive effect. Indications: Vertebral displacement, formation of gaps in the vertebral joints (spondylolysis/spondylolisthesis, grade II), Wearing of the vertebral joints (facet syndrome), Radiating pain in the lumbar spine area (moderate [pseudo] radicular lumbar syndrome/lumbar sciatica, moderate), Narrowing of the spinal canal (lumbar spinal canal stenosis [conservative, post-operative]), Fractured vertebrae (fractures of the lumbar spine), Weak muscles with limited performance (degeneration/muscular insufficiency of the spine), Following an intervertebral disk prolapse (conservative/ post-operative), Intervertebral disk surgery (discectomy), Post-operative, one or more levels of the spine (e.g. spondylodesis), Osteoporosis. Size: 1 (70-80cm), 2 (80-90cm), 3 (90-105cm), 4 (105-115cm), 5 (115-140cm). Waist circumference in cm.